Choosing life over death can be a challenge for Mississippians infected with HIV, according to advocates celebrating World Aids Day. They say the stigma keeps young people from seeking treatment. 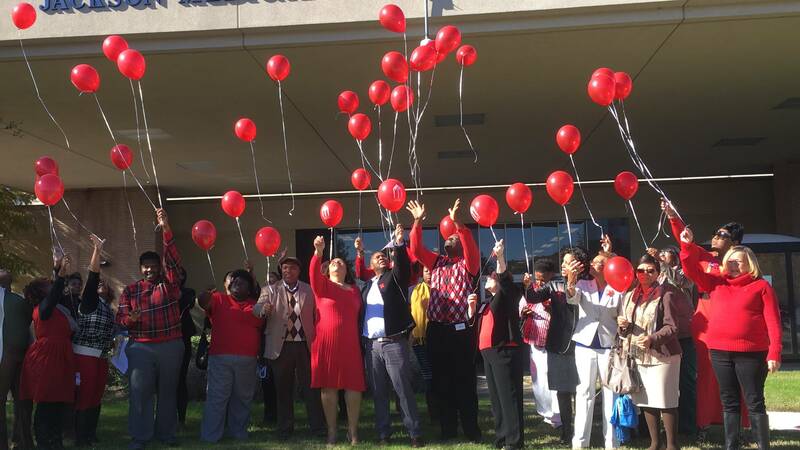 People living with HIV/AIDS, their families and advocates are at a World Aids Day observance at the Jackson Medical Mall. "Who are we pretending not to see, not to hear, not to be, and not to know? Why? Participants are reciting a statement to combat fear. Mississippi has one of the highest rates of HIV infection in the country with Jackson ranked number 4, according to the Centers for Disease Control and Prevention. Cedric Sturdevant is living with AIDS. He works with My Brother's Keeper, an organization that provides outreach and healthcare services. "Even though we have all this technology today for HIV and AIDS, yes people do live a long time. We still have young people dying from AIDS-related illness and I say they die from stigma," said Sturdevant. Sturdevant says the stigma associated with being gay, bisexual or using intravenous drugs keeps people from telling their families they're infected. HIV/AIDS disproportionately impacts the black community. The state health department reports out of 509 new HIV cases in 2015, more than 300 were among black males. Sturdevant says young men are dying rather than seek treatment or continuing their care. It wasn't until he was hospitalized Sturdevant told his family he has the disease. "I wasn't taking care of myself because I felt the shame, the fear or whatever and I didn't tell my family immediately," said Sturdevant. Evonne Kaho, a transgender female provides support to others through the organization "Love Me for Life Unlimited." "Today please go out everyone and get tested. Know your status. In this day and time you can live with HIV," said Kaho. Advocates recommend using a latex or polyurethane condoms to help prevent transmitting HIV/AIDS.